The first pics and videos from last weekend’s Primus Rally is hitting the web. What a rally they had! 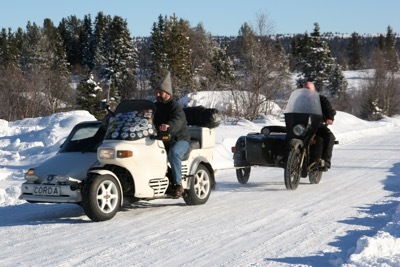 Roger Visser and his crew from the Netherlands rode some of the ca 80 bikes from several countries that rallied together in the Fjorda area of Bjoneroa last weekend for the annual Primus Rally. Alas, due to duties for the Norwegian Motorcyclists’ Union, I couldn’t participate myself this year. But the video from Roger shows some of the good things that goes on in the frozen period in Norway. 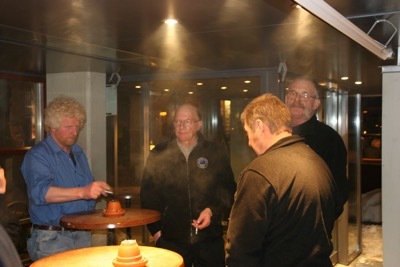 Reportedly, it was a mild venue this year, only -16C during the night, and around 0C in the daytime. Nothing scary, in other words. You can also see some pics if you tune into the Primus Rally Facebook Page. Enjoy! I said to my Danish Triumph-riding friend Lars: You have to go to the Primus Rally to become a fully fledged motorcyclist. It’s not true, of course, because I just wanted to lure him over to Norway to join me for a rally because he’s a good guy. But besides that, the (in)famous Primus is due the upcoming weekend, if you need to grow some hair on your chest. It’s been around for a while. Some say 43 years. Others 45. 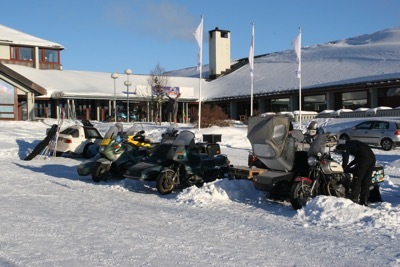 The fact remains: It’s by far the most popular winter rally in Norway. At least of the ones where you camp outdoors. Usually the attendance is anywhere from 90 to 120 bikes. The upcoming weekend is Primus Rally weekend! It’s not like the Elefanten treffen in Germany nor the Dragon Rally in Wales. It is not even near being what the Krystall Rally is. The Primus is a very simple rally, where what you bring with you is all you have. A local merchant comes along with some firewood which he sells for quite reasonable prices, and there is a boombox – if you know what I am referring to – available. Other than these quite modern amenities, you have to bring everything yourself to camp for a couple of days out in the woods of Fjorda near Bjoneroa. The riding time is approximately 2 hrs from Oslo, if you’re considering to join. Here’s a video from a previous year you can have a look at while you book your ferry ticket and scramble your gear. This weekend is the Krystall Rally taking place in Norway. 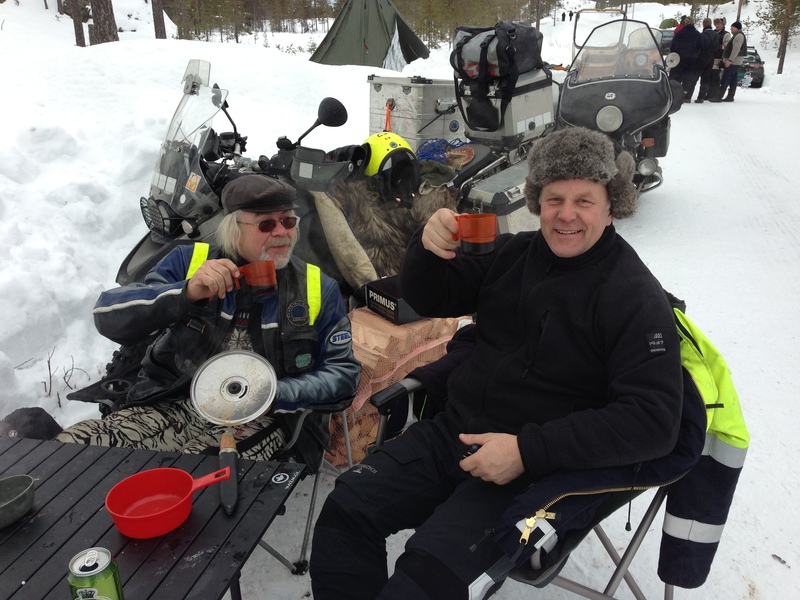 It is a winter motorcycle rally up in the mountains somewhere in the southern part of the country. It has moved around a bit, but this year it is in the Rondane mountains. What is in my view special about this rally, beside it being organized for 44 years this year, is that it is held at a hotel. So you ride there, park your bike, and carry your stuff to a nice, warm room. Not a bad idea, really, and certainly it has become popular among foreign riders, as I have understood it. Not that I would know, though, because I was there only once, nearly ten years ago, in 2006. 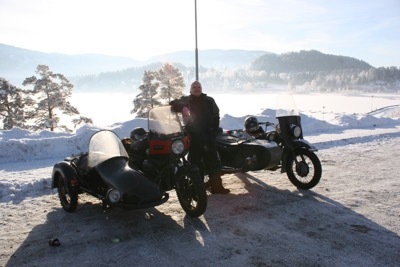 I had a Ural sidecar rig at the time, and my buddy Tor with his immaculate Guzzi rig and I went there. To make a long story short, the Ural broke down on the morning of departure from the hotel, so I had to ride in the tub of Tor’s Guzzi to get home and fetch the Ural a couple of days later by car and trailer. Anyway: Krystall Rally might be a nice way of meeting other winter riders and learn from their experience, if you’re new to this. You don’t have to worry about camping out and all that. All you need to think of, is how to get there. And preferably back too. The rally at that time was held at Oset høyfjellshotell. Posh winter luxury. Some of the rally goers back in 2006.